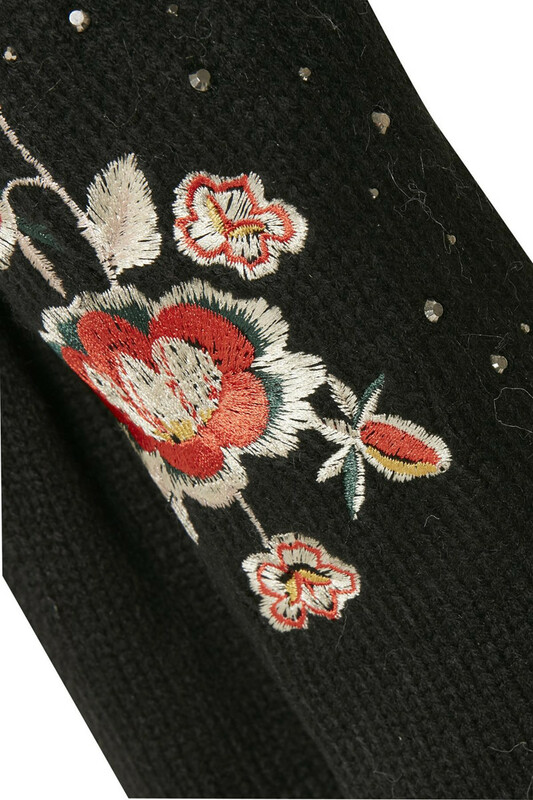 Cream Vigga Scarf 10401200. 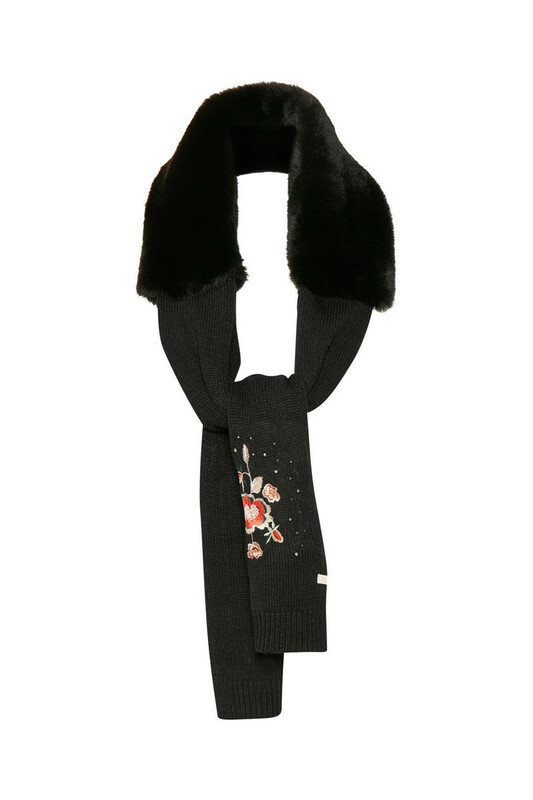 Elegant knitted scarf with faux fur collar and flower embroidery. The scarf can be worn around the collar of your jacket, giving the fake fur collar an elegant look.